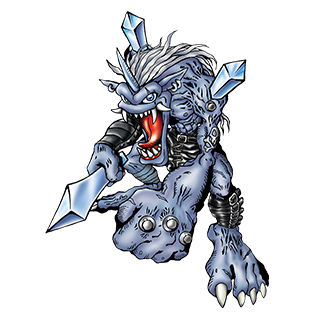 The Digimon Reference Book profile for January 8th, 2016, is Hyougamon. A translation is provided below; you may use it freely on forums, wikis, etc. so long as you link back to or cite this page. Profile: A type of Ogremon that lives in cold places. It is a strongly territorial Digimon, and will for example angrily swoop down on anyone that takes even one step in (it seems prone to turf wars with Mojyamon). Its Special Move is to charge a punch with cold air, "Snow Punch." The Digimon Reference Book is Bandai's official bible on the various Digimon species, first launched in 2007 and now comprising over seven hundred different Digimon out of the thousand-plus species that exist. It updates weekly with new Digimon profiles. Last week's profile was Catch Mamemon. Yes, as there's no reason to distinguish DigiXroses from regular Digimon. There's only around 100 Xros Digimon though. A lot of gamers would love to Buyessay Writing Service read the book as this is has been written with the assistance of the professionals and this has a lot of new modifications that have been made possible by the experts.